Vocalists, seize your mobility with Shure's PGXD24/SM58 wireless mic system. With this system you'll get the same great sound quality you've come to expect from Shure's SM58 unidirectional, cardioid dynamic microphone. With it's incredibly effective spherical filter to eliminate "pop" noises, tailored vocal response, and rugged construction, the SM58 is the choice of professionals. 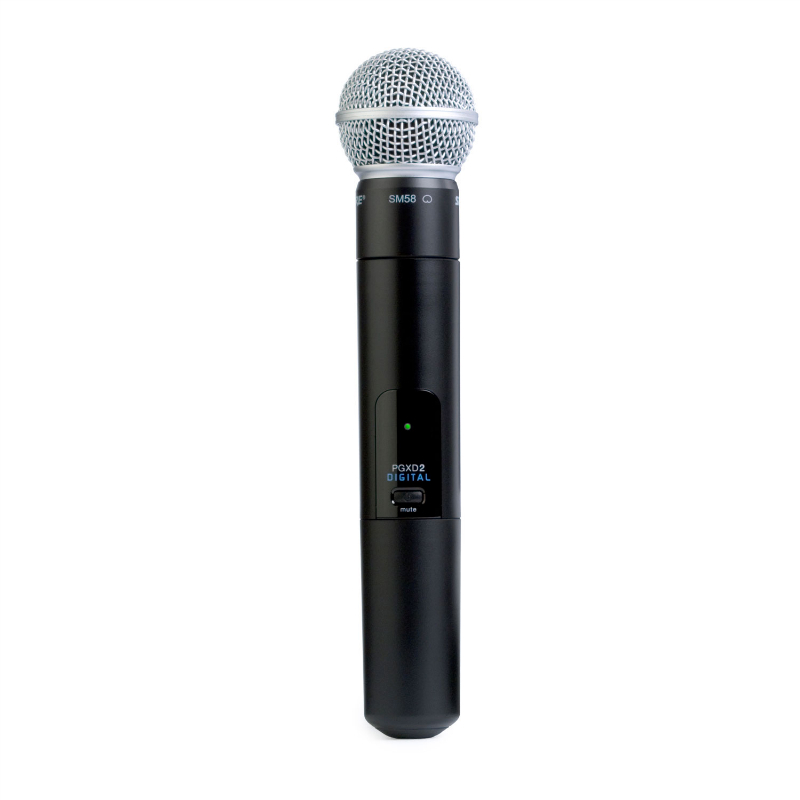 Add to that the PGXD2 handheld transmitter and you can take the SM58 almost anywhere. 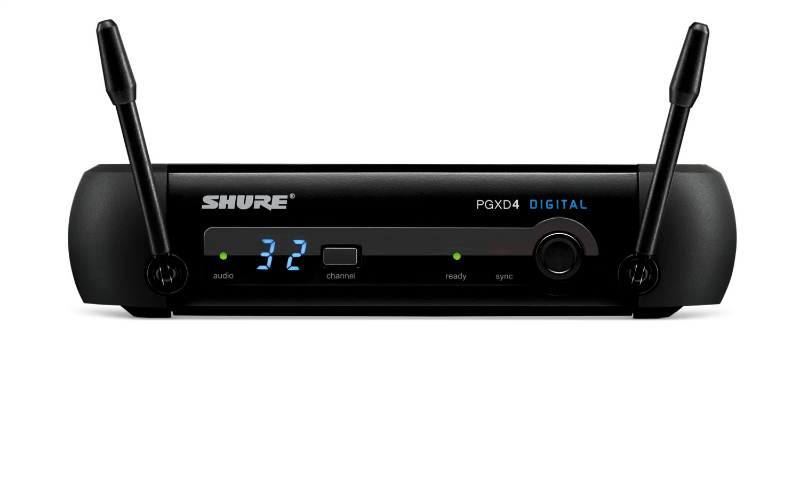 The PGXD2 features a power, mute, and status LED display; 200 foot operating range; 10 dB of adjustable gain; and up to nine hours of continuous use from two AA batteries. 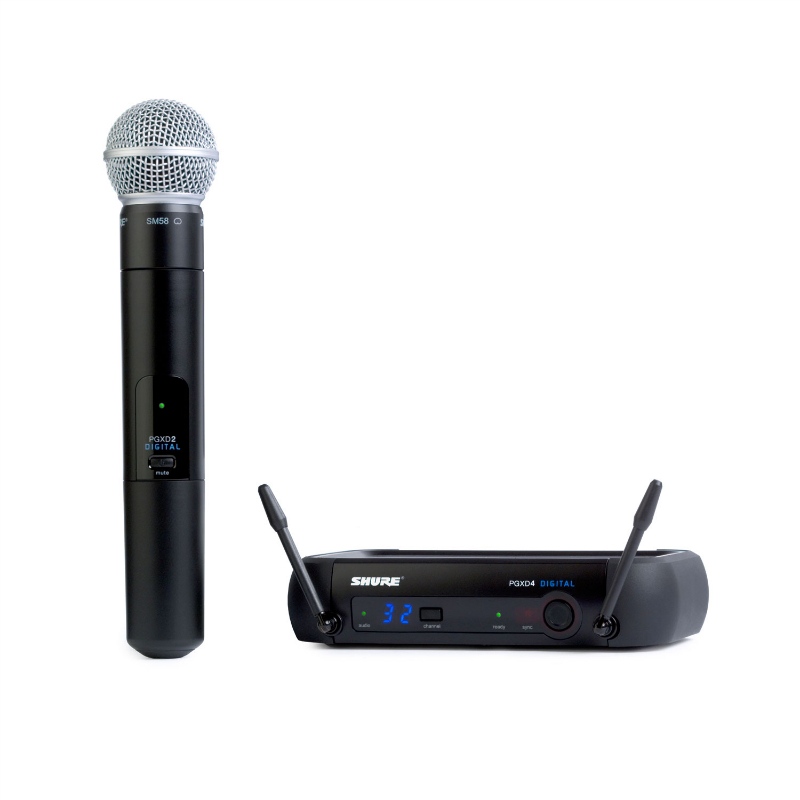 Your SM58 has to transmit to something, so you'll also find a PGXD4 wireless receiver included in this wireless mic system. This receiver provides innovative 24-bit, 48 kHz digital audio technology plus two antennas and two independent receivers working to provide a solid RF signal. 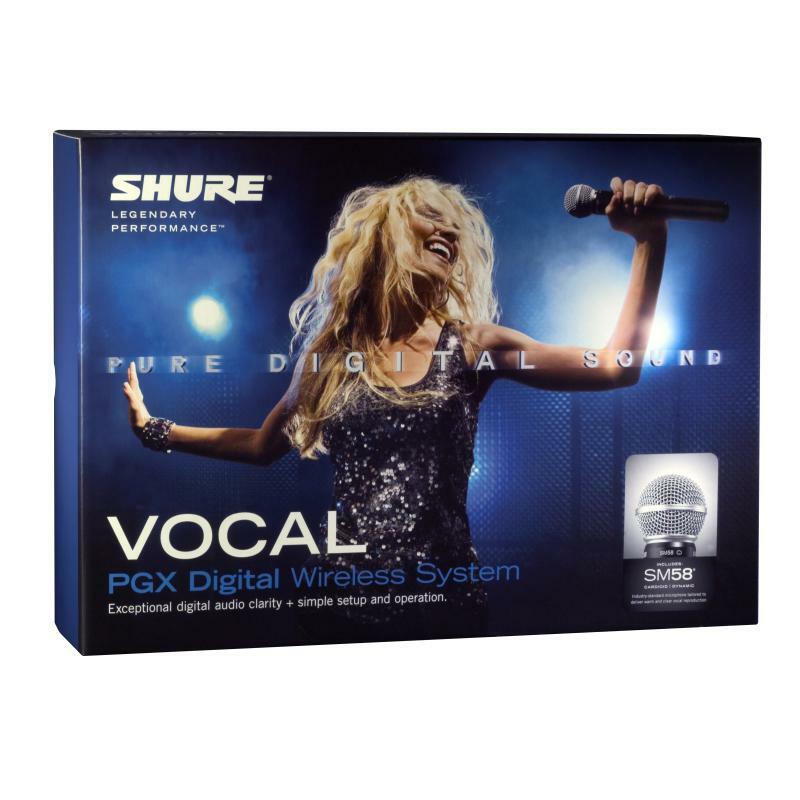 Order the Shure PGXD24/58 wireless mic system today and receive free ground shipping!